Once again, I had hoped to blog more this year but as these things happen I haven’t been able to. However I have been working hard at getting my certs done. 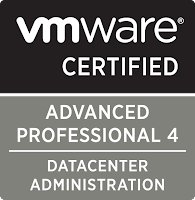 I passed the VCAP4-DCA which was an amazing feeling. I had almost given up on the process as it was very time consuming. My wife has been very supportive which has really helped. The exam itself was not easy.There are lots of scenarios and a wide variety of tasks so you really need to know your stuff. A lab is a must and you should give yourself a good three months to study. My home lab was inspired by Simon Gallagher’s vTardis and run on my laptop. There are plenty of resources available to help you get going. I would personally recommend Edward Grigson’s guide which can be found at http://www.vexperienced.co.uk. So with the release of the VCAP5-DCD and the imminent release of the VCAP5-DCA I have decided to go for the VCDX on the vSphere 5 track. I will probably use the design that I put together for my office. 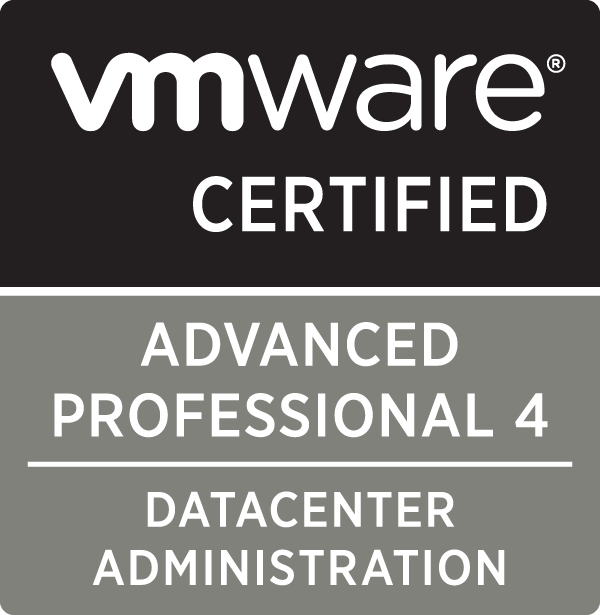 For those of you wanting to go for the VCDX certification has a look at http://vcdxwannabe.com/. It looks like it is going to be a good community for people after the same thing and when I last checked there were a few VCDX’s on there too. The VCDX’s I have met have been really friendly and have always been approachable, answering any questions I have (and there have been plenty). There is also the question of whether or not to try to be recognised as a vExpert. The vExpert is not a certification but more of recognition by VMware of an individual’s contribution to the community. So anyway ramblings aside, I have reading to do.